Kameido Tenjin Shrine (亀戸天神社) is a Shinto shrine located on the east side of Tokyo in Koto ward. It is not only a place to pray butalso a great place to view wisteria. About 200 trees of lovely purple wisteria blossoms dangled from 15 trellises, which mostly hang around the pond. 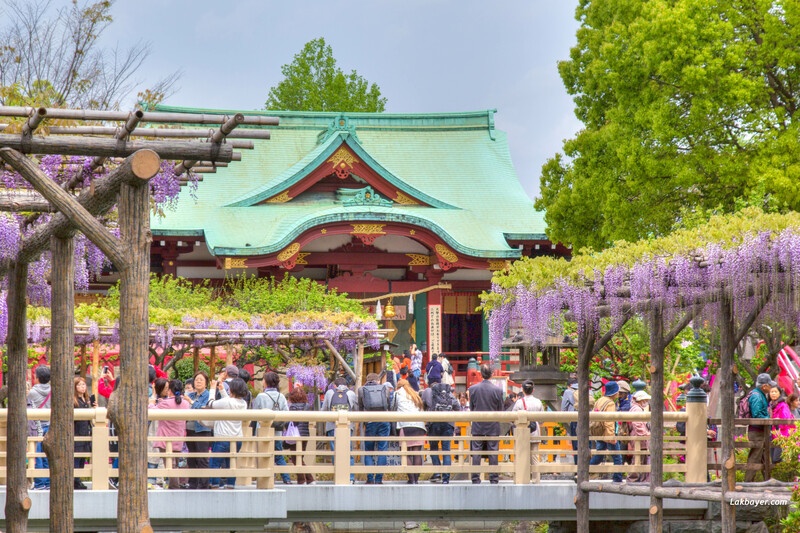 It is one of the lesser known flower festivals but equally as beautiful and very accessible to central Tokyo. 04/27/2017: The trellises near the shrine are in full bloom creating a gorgeous canopy over the pond and bridges. Lovely lavender-colored wisteria flowers dangled from the trellises.